Woz says Apple would never hire him or Steve Jobs today. 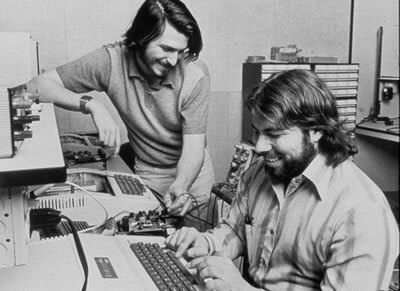 Steve Wozniak thinks he and co-founder Steve Jobs could never have found employment at the company they created together, had they been in their twenties in 2015. “I look at the experience and education levels you need to get a job at Apple today and I think, ‘Well, Steve Jobs and I never could’ve gotten a job at Apple today,’” Woz told The Australian Financial Review in an interview. The reason, he says, is that the rigorous Apple hiring process (like the ones at other tech giants like Google and Microsoft) would never have favored two college dropouts like himself and Jobs. This bias means the companies are potentially missing out on finding the next person to come along with a world-changing idea. “The larger you get you have to take so much care in designing products and software and making sure that it’s going to work for millions and millions of people, and that slows you down,” Wozniak says, referring to Apple today. Woz says Apple is continuing to make great products, but that some of its best new creations are coming from smaller companies, which Apple then acquires. Woz also notes that he thinks the next big startups will be online service providers such as Uber and Airbnb, rather than hardware companies reliant on global component supply chains. He’s not wrong, although tools like Kickstarter and a plethora of Silicon Valley hardware incubatorsmake the startup hardware scene a whole lot more vibrant than it’s been in years. A hardware startup competing directly with Apple isn’t going to happen, but that’s not to say there aren’t some innovative companies in this space which can make a go of things. As for the question of whether or not the next Steve Jobs would be lost in the haystack of job applications? Well, if true, that’s one more reason to overhaul the Silicon Valley hiring system. This entry was posted in Apple news and tagged Apple hiring, Steve Jobs., Steve Wozniak. Bookmark the permalink. How to surf the internet on a vintage Macintosh Plus.